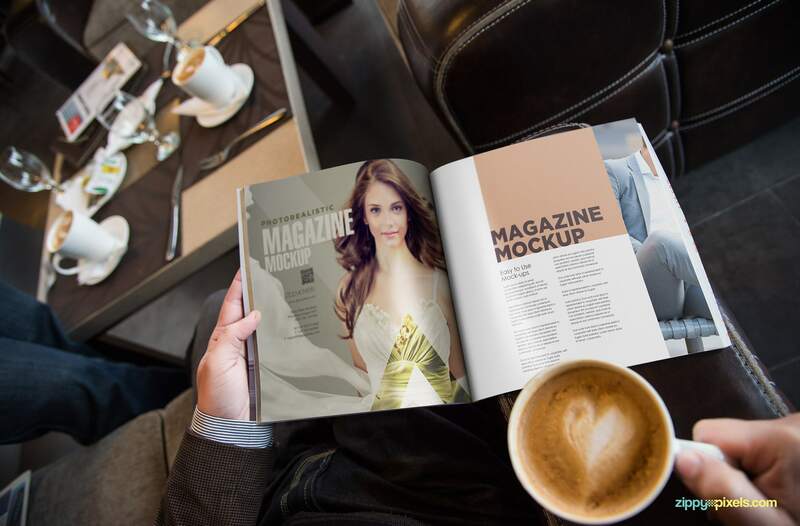 An extravagant volume of square magazine mockups in a café themed environment. 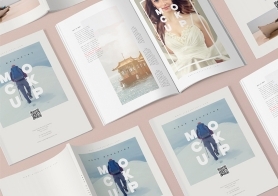 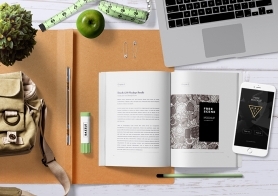 These gorgeous mockups can used for magazine, brochure or catalog designs depending on your requirements. 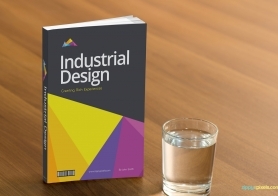 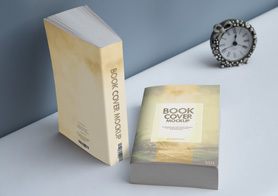 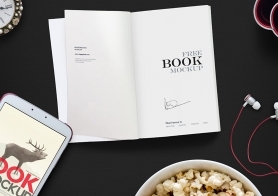 Featuring a square size (8.7 x 8.7 inches) with fully customizable cover, back and inner page design. 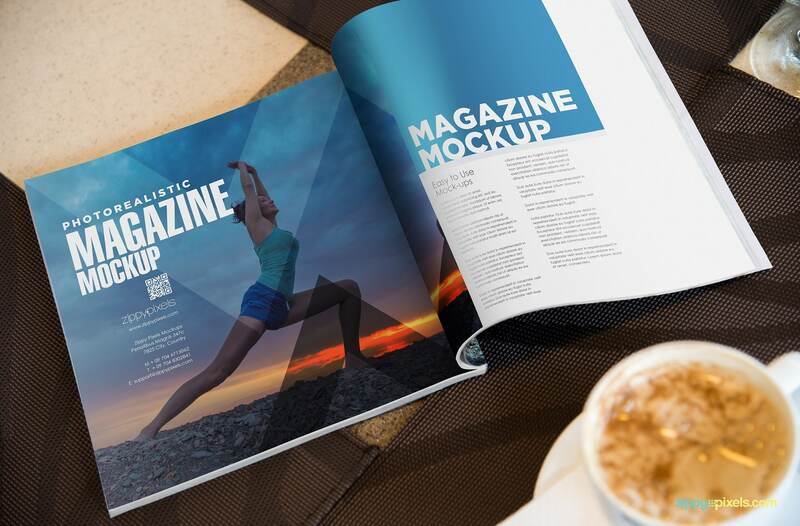 You can also adjust the shades, glow effects and cup reflections according to your design needs. 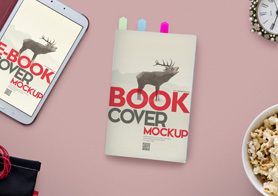 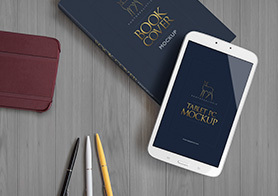 Each included PSD mockup in this volume comes with Smart Objects, which let’s you place your design on the fly with just a few clicks. 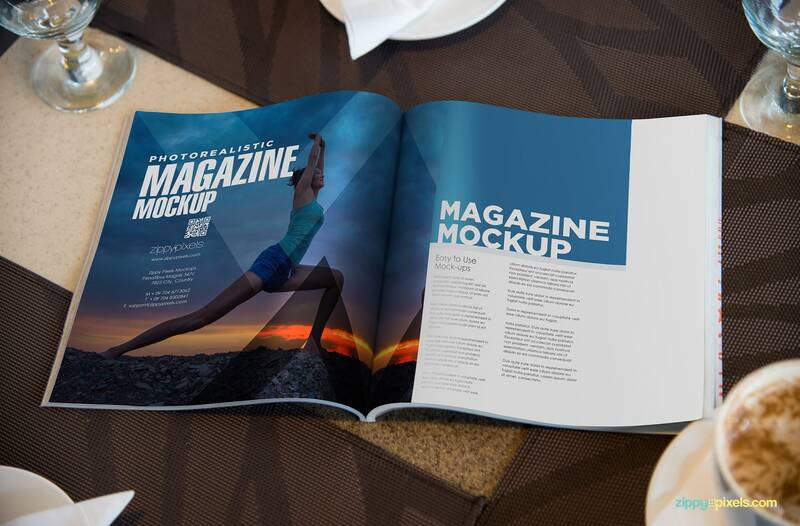 Full spread magazine mockup with jaw dropping detials. 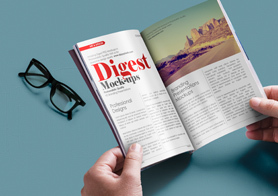 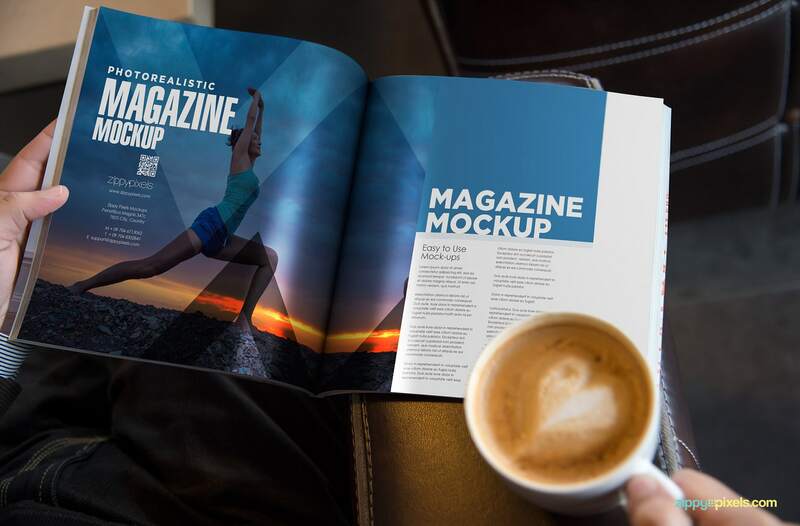 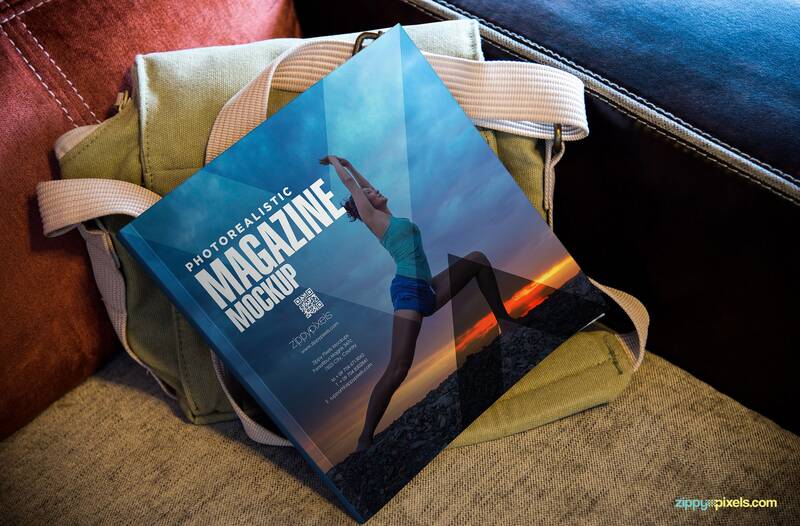 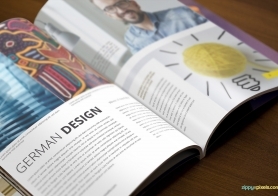 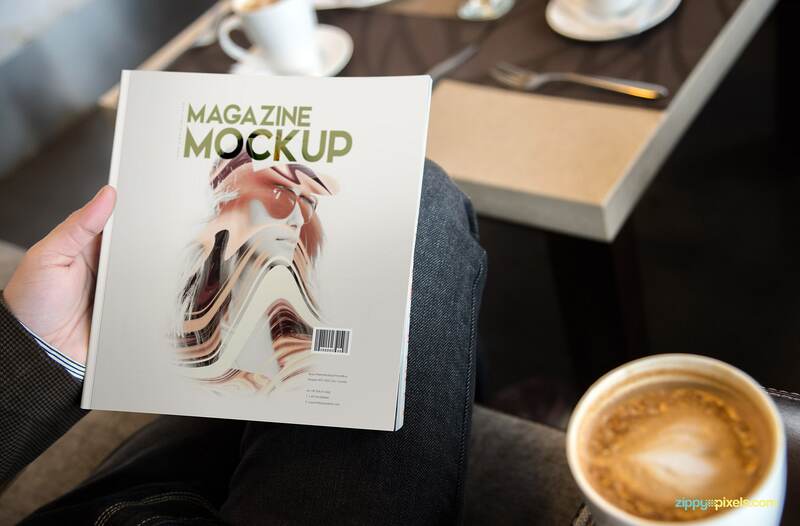 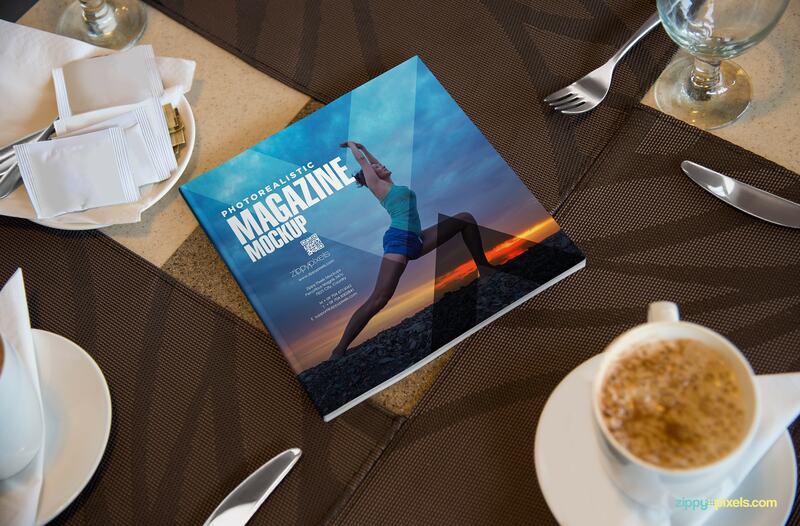 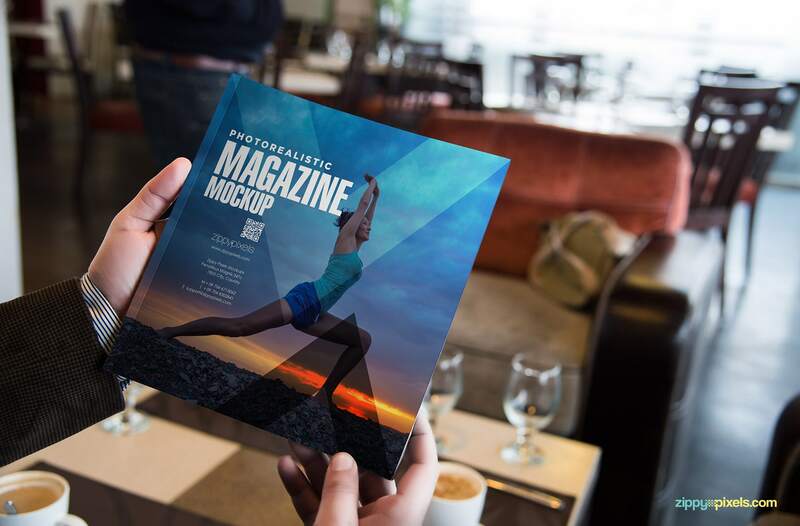 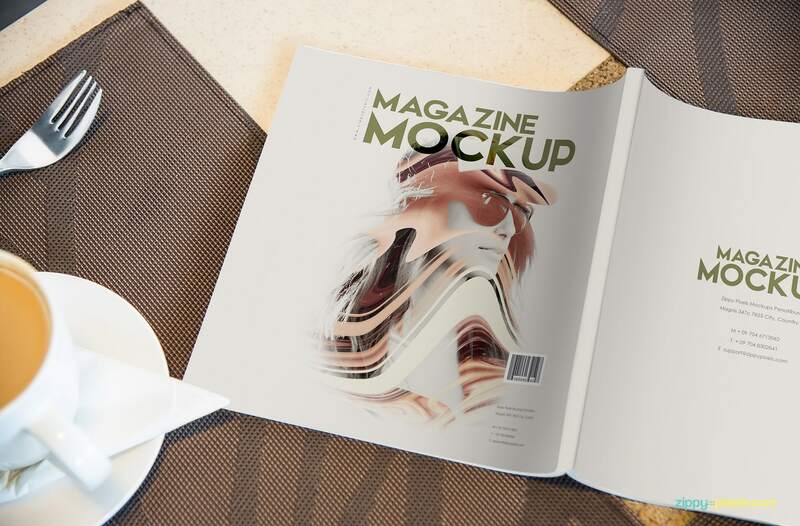 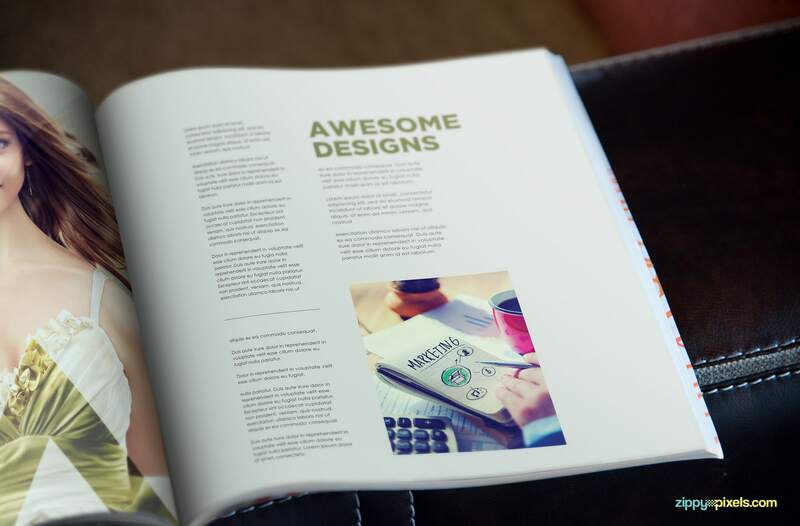 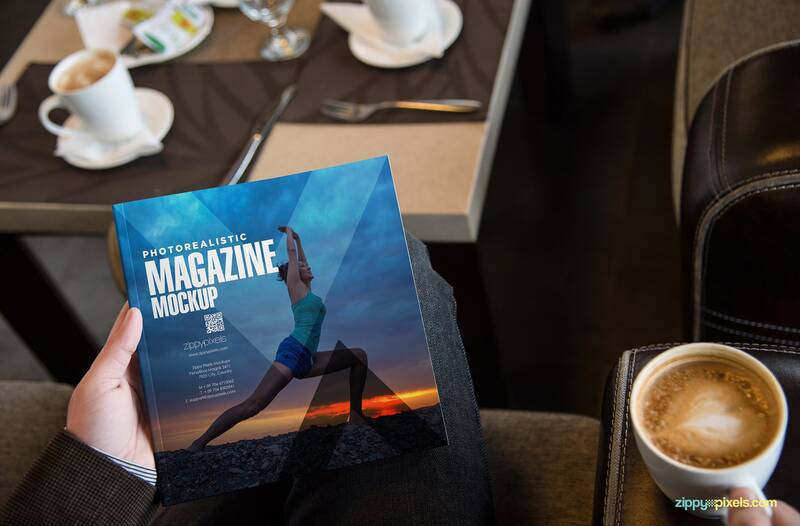 An ideal magazine mockup for showcasing your magazine, brochure and catalog designs. 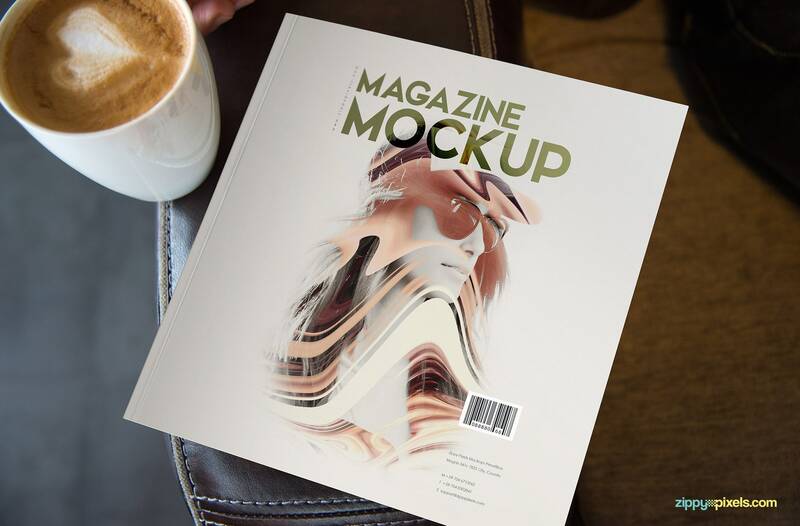 Square magazine mockup PSD in a photorealistic scene. 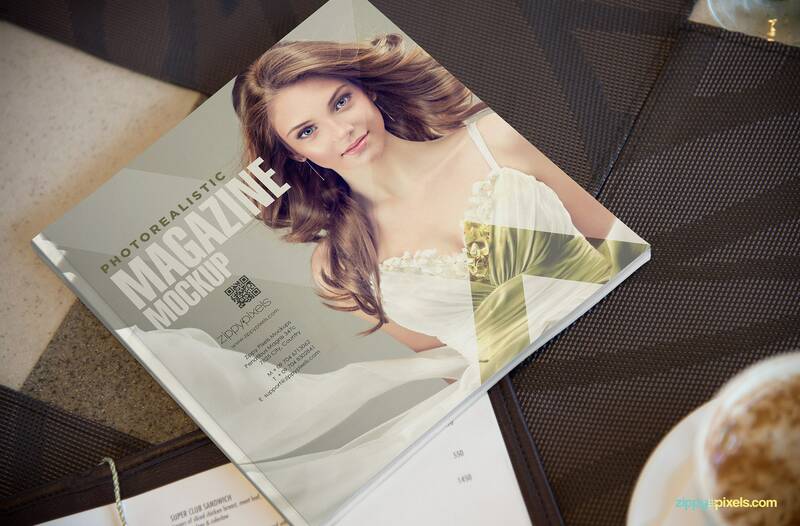 Sqaure sized magazine mockup resting on a bag.